(Newser) – David Cassidy of The Partridge Family fame has died at age 67. Publicist JoAnn Geffen released a statement Tuesday evening saying Cassidy had died "surrounded by those he loved," per the AP. No further details were immediately available, but Geffen said on Saturday that Cassidy was in a Fort Lauderdale, Florida, hospital suffering from organ failure. 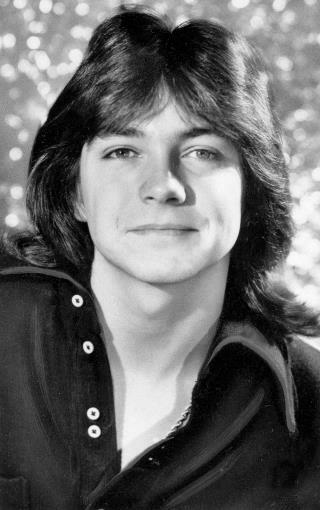 The teen and pre-teen idol starred in the 1970s sitcom and sold millions of records as the musical group's lead singer. The Partridge Family aired from 1970-74 and was intended at first as a vehicle for Shirley Jones, the Oscar-winning actress and Cassidy's stepmother. Jones played Shirley Partridge, a widow with five children with whom she forms a popular act that travels on a psychedelic bus. The cast featured Cassidy as eldest son and family heartthrob Keith Partridge. I personally met David Cassidy in the spring of 1983 when I was on a high school trip to New York (Manhattan) He was the lead, in a musical called, Joseph And the Amazing Technicolor Dreamcoat. We were all standing around waiting to decide where to go next after the show, then all of a sudden I turned around and there he came out front to go to his waiting limousine. I have a picture of him an autograph and I got a nice kiss from him when I stuck my head in the limo! he is so soft spoken and so so sweet a real nice guy. They go in threes. So long Mr. Cassidy, nice knowin ya.